In 2017, global international tourist arrivals set a new record of 1.32 billion individuals. From this, Thailand moved into the 10th spot with 35.4 million visitors, and US$57.5 billion in tourism earnings, which represented 12% of Thailand’s GDP. Therefore, given the critical nature of tourism to Thailand’s economy and the national carrier’s role, the authors sought to investigate how customer relationship management (CRM), perceived risk (PR), perceived service quality, and passenger trust (PT) affected Thai Airways’ passenger satisfaction (PS). The research tool developed for the survey consisted of a questionnaire which used a seven-level, Likert type agreement scale for 34 items in Part 2. The study also conducted both a confirmatory factor analysis (CFA) and a structural equation model (SEM) to analyze the sample of 565 Thai Airways’ passengers. A latent variable path analysis was performed using LISREL 9.1 software, with the models found to be consistent with empirical data. The causal factors in the model had both a positive and negative influence on Thai Airways passenger satisfaction (PS), which can be explained by 14% of the variance (R2). The four variables ranked in importance included customer relationship management (CRM), perceived risk (PR), passenger trust (PT), and perceived service quality (PSQ), which had a total value of 1.00, -0.35, 0.20 and 0.11, respectively. Agrawal, M. (2013). The ultimate guide to airline customer relationship management and loyalty. Available at: https://tinyurl.com/yarn699n [Accessed 1 Oct. 2018]. Ali, Q. (2018). Service quality from customer perception: Comparative analysis between Islamic and conventional bank. 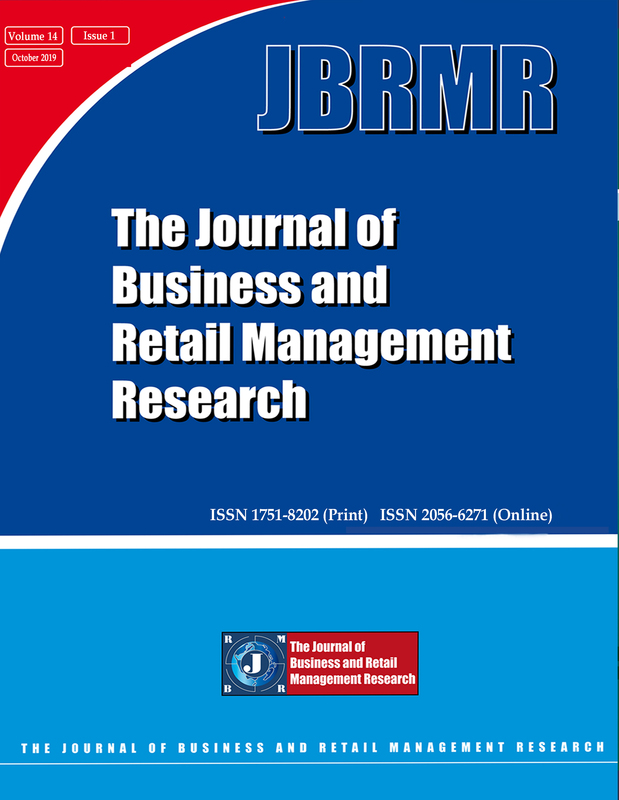 Journal of Marketing and Consumer Research, 43, pp. 70 – 82. Available at: https://tinyurl.com/ybvutn5a [Accessed 1 Oct. 2018]. Amiruddin, N. H. (2013). Price, service quality and customer loyalty: A case study of AirAsia. South East Asia Journal of Contemporary Business, Economics and Law, 2(1). Available at: http://tinyurl.com/lhohoae [Accessed 1 Oct. 2018]. ASEAN Today. (2018). A potential remedy for Thailand’s tourism woes. Available at: https://tinyurl.com/yccxgyfj [Accessed 1 Oct. 2018]. Baker, D. (2014). Low-cost airlines management model and customer satisfaction. International Journal of Economics, Commerce, and Management, 2(9), pp. 1 – 17. Available at: http://tinyurl.com/jxg2ymb [Accessed 1 Oct. 2018]. Best, J. W. and Kahn, J. V. (2003). Research in Education. 10th ed., New Jersey: Pearson. Blythe, J. (2013). Consumer behavior. Thousand Oaks, CA: Sage Publications. Boeing upgrades aircraft forecast. (2018). TR Weekly. Available at: https://tinyurl.com/y9fonf8d [Accessed 1 Oct. 2018]. Centre for Aviation. (2018). Thailand low-cost airlines: Rapid growth as fleet triples in 5 years. Available at: https://tinyurl.com/y7b76dda [Accessed 1 Oct. 2018]. Charoensuthipan, P. (2018, August 27). Korea visa-free arrivals still in effect. Bangkok Post. Available at: https://tinyurl.com/ycng7zo7 [Accessed 1 Oct. 2018]. Cox, D. F. (1967). Introduction. In: D.F. Cox, ed., Risk taking and information handling in consumer behaviour (p.15). Boston, MA: Harvard University Press. DuPont, G. (2015). Southeast Asia aviation: What you need to know. New Airport Insider. Available at: https://tinyurl.com/l9dw6vf [Accessed 1 Oct. 2018]. DuPont, G. (2017). Thailand Aviation: What Happened to It? New Airport Insider. Available at: https://tinyurl.com/y8pa8d65 [Accessed 1 Oct. 2018]. Gefen, D. (2002). Customer Loyalty in E-Commerce. Journal of the Association for Information Systems, 3(1), pp. 27 – 51. Available at: https://tinyurl.com/y7rbjvcx [Accessed 1 Oct. 2018]. Goldenberg, B. J. (2015). The definitive guide to social CRM: Maximizing customer relationships with social media to gain market insights, customers, and profits. Upper Saddle River, New Jersey: Paul Boger. Grant, L. (2017). Qantas 2017 investor day. Available at: https://tinyurl.com/yd39xbym [Accessed 3 Oct. 2018]. Hair, J. F., Hult, G. T. M., Ringle, C. and Sarstedt, M. (2016). A primer on partial least squares structural equation modelling (PLS-SEM). Thousand Oaks, CA: Sage. Haryono, S., Suharyono, Fauzi, A. D. H. and Suyadi, I. (2015). The effects of service quality on customer satisfaction, customer delight, trust, repurchase intention, and word of mouth. European Journal of Business and Management, 7(12), pp. 36 – 48. Available at: http://tinyurl.com/hgpqhw2 [Accessed 1 Oct. 2018]. Heracleous, L. and Wirtz, J. (2010). The Globe: Singapore Airlines’ balancing act. Harvard Business Review, July–August. Available at: http://tinyurl.com/zd9esrq [Accessed 1 Oct. 2018]. Hogan, J. (2017). Tough times set to continue in aviation industry. Arabian Business Info. Available at: https://tinyurl.com/ycmghwqe [Accessed 1 Oct. 2018]. Hooper, D., Coughlan, J. and Mullen, M. (2008). Structural equation modelling: Guidelines for determining model fit. Electronic Journal of Business Research Methods, 6(1), pp. 53-60. Available at: http://tinyurl.com/zyd6od2 [Accessed 1 Oct. 2018]. Hutchins, D. (1985). Achieve Total Quality. UK: Fitzwilliam Publishing. IATA. (2017). 2017 marked by strong passenger demand, record load factor. International Air Transport Association. Available at: https://tinyurl.com/y9kwlhgo [Accessed 1 Oct. 2018]. Jacoby, J. and Kaplan, L. (1972). The components of perceived risk. Advances in Consumer Research, 3, pp. 382–383. Available at: https://tinyurl.com/y9r48lu8 [Accessed 1 Oct. 2018]. Jöreskog, K. G., Olsson, U. H. and Fan, Y. W. (2016). Multivariate analysis with LISREL. Berlin, Germany. Järveläinen, J. (2007). Online purchase intentions: An empirical testing of a multiple- theory model. Journal of Organizational Computing and Electronic Commerce, 17(1), pp. 53 – 74. Available at: http://tinyurl.com/zgdwsaz [Accessed 1 Oct. 2018]. JD Power. (2018). North America airline satisfaction study. Available at: https://tinyurl.com/y8hvax63 [Accessed 1 Oct. 2018]. Juran, J. M. and Gryna, F. M. (1998). Juran’s quality control handbook. New York, NY: McGraw Hill. Kline, R. B. (2011). Principles and practice of structural equation modeling. 3rd ed. New York, NY: The Guilford Press. Kositchotethana, B. (2017). Budget carriers' passenger traffic continues to soar. Bangkok Post. Available at: http://tinyurl.com/len4qpe [Accessed 1 Oct. 2018]. Kotler, P. and Armstrong, G. (2002). Marketing: An introduction. Englewood Cliffs, NJ: Prentice–Hall. Krämer, A., Tachilzik, T. and Bongaerts, R. (2017). Technology and disruption: How the new customer relationship influence the corporate strategy. In: A. Khare, B. Stewart, and R. Schatz. Eds., Phantom Ex Machina, Springer, pp. 53-70.
https://tinyurl.com/y8wyl97t [Accessed 1 Oct. 2018]. Kumudha, A. and Bhunia, A. (2016). Customer relationship management and marketing practices in airlines industry - An empirical study. International Journal of Applied Research, 2(11), pp. 39-43. Available at: https://tinyurl.com/yaly2mtm [Accessed 1 Oct. 2018]. Levine, D., Berenson, M. and Krehbiel, T. C. (2011). Basic Business Statistics: Concepts and Applications (12th ed.). New Jersey: Prentice Hall. Munusamy, J., Chelliah, S. and Pandian, S. (2011). Customer satisfaction delivery in airline industry in Malaysia: A case of low-cost carrier. Australian Journal of Basic and Applied Sciences, 5(11), pp. 718-723. Satisfaction, Dissatisfaction, and Complaining Behaviour, 13. Available at: http://jcsdcb.com/index.php/JCSDCB/article/view/106 [Accessed 1 Oct. 2018]. Rasch, G. (1980). Probabilistic models for some intelligence and attainment tests. Chicago, IL: university of Chicago Press. Reichheld, F. F. and Sasser, W. E. (1990). Zero Defections: Quality Comes to Services. Harvard Business Review, September/October, pp. 105-111. Schiffman, L. G. and Wisenblit, J. L. (2015). Consumer behavior. 11th ed., New Jersey: Pearson. Schumacker, R. E. and Lomax, R. G. (2010). A beginner’s guide to structural equation modeling. 3rd ed., New York, NY: Routledge. Tani, M. (2018). Southeast Asia airlines face yet thinner profits in 2018. Nikkei Asia Review. Available at: https://tinyurl.com/yb5wdk2o [Accessed 1 Oct. 2018]. Telus International. (2017). Improving customer satisfaction in the airline industry. Available at: https://tinyurl.com/ybu75g24 [Accessed 1 Oct. 2018]. Thai Airways Annual Report. (2017). Annual report 2017 Thai Airways International Public Company Limited. Available at: https://tinyurl.com/y83appu6 [Accessed 1 Oct. 2018]. Thai Airways. (2018, July 18). THAI wins three Skytrax Awards 2018. Available at: https://tinyurl.com/yczgyr9o [Accessed 1 Oct. 2018]. The International Trade Administration. (2018). Thailand – Aviation. U.S. Department of Commerce. Available at: https://tinyurl.com/yb8sylrb [Accessed 1 Oct. 2018]. Tourism Organization. Available at: https://tinyurl.com/ybvjmows [Accessed 1 Oct. 2018]. Vuthisopon, S. and Srinuan, C. (2017). Low cost carrier passenger repurchase intention: A structural equation model analysis. Asia-Pacific Social Science Review, 17(2), pp. 249–266. Available at: https://tinyurl.com/y88zbfey [Accessed 1 Oct. 2018]. Wan, C. (2017). AirAsia: The journey to becoming a digital airline has begun. WIT. Available at: http://tinyurl.com/mph2uzd [Accessed 1 Oct. 2018]. Zeithaml, V. A., Parasuraman, A. and Berry, L. L. (1990). Delivering quality service. Balancing customer perceptions and expectations. New York, NY: The Free Press.